IBM claims that blockchain has the potential to transform business transactions the way internet transformed communication. Blockchain is basically a digital immutable ledger that is recorded chronologically, it can be used effectively to store values, messages, transactions and even programs. IBM has taken this secure characteristics and identified the need of the blockchain revolution in the business community. The things stored on the blockchain can be built-up-on and moved from one place to another efficiently in no time, this secure system of data handling has been efficaciously explored by IBM. IBM has classified its services, though it involves implementation of blockchain in these industries, their vision for these particular industries is varied accordingly. IBM plans to track the supply and management of the goods and services. This is also being done to improve the food supply industry which involves huge daily volumes of perishable items. The technological solutions through blockchain ensure transparency, avoid false marketing, appreciate the local farmers, most importantly reduce improve back tracking of items and improve the outdated record keeping system. Walmart employees have to manually go through the data to address customer complaints. 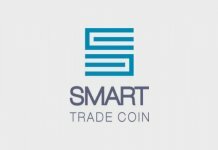 Since December 2016, Walmart and IBM have introduced their blockchain powered system which is currently being tested in China. In 2017, Nestle and Uniliver also joined the system. The products on the shelf of our super-markets will give, in a matter of seconds, all its details from the quality of seeds to the date of harvesting which can be tracked on the customer’s device as well. IBM recently introduced the World Wire, as the name suggests it will be used to wire value over the internet. IBM provides service to 97% of the banking institution around the world. 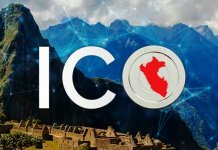 It aims to improve the monetary system already having control over 60% of the world transactions. Hyperledger is working in co-operation with Interstellar which is a collaboration of Stellar Foundation and Chains. Chain and stellar have been on Interstellar to promote Stellar Lumens by implementation in the world payment system. IBM had introduced Trade Lens in partnership with Maersk. Maersk is the largest global transport and shipping company. It has the largest fleet of container ships and supply vessels around the world since 1996. Trade Lens is a global supply chain platform with partnerships with over 90 organisations. They record millions of transactions daily. This involve live tracking of the package across the bunch of interested parties. It will reduce logistics costs and improve supply chain efficiency and expectation. This network aims to become the benchmark for foreign and regional trade. IBM blockchain trusted identity protocol is being separately worked up on to deter the centralization of identity details which includes e-mail IDs to banking passwords. The blockchain promotes decentralized storage of data that is encrypted, password protected and requires distributed consensus. The identity information hence, is securely being stored on the blockchain by IBM on the Sovrin’s global network, the company is working closely with SecureKey Technologies to help with implementation and improvisation. IBM’s largest partnerships in blockchain related services are with Maersk and Walmart. These companies are the largest in global transport and consumer product industry. 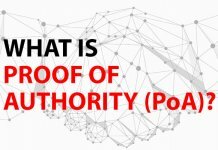 Another, supply industry giant Alibaba has also worked extensively on blockhain, filling 90 blockchain related patents one more than IBM itself. The company has also partnered with Samsung to work closely on the Internet of Things (IoT) protocols that would transform the way of living for the people of Earth. 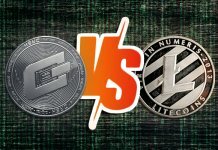 How will it affect the crypto-space? 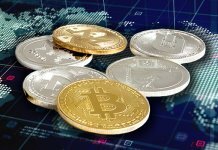 The USP of the cryptocurrencies are blockchain with immutable records. 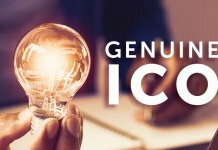 The cryptocurrency market exchanges and ICOs basically introduces utility coins which facilitate the respective industries. 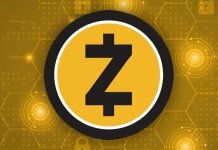 Dash (DASH), Zcash (ZEC), Factom (FCT), Stellar (XLM) and so on promises to serve the existing models in their own ways. 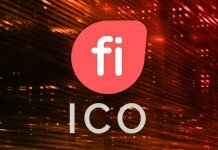 Furthermore, this is revolutionary but also has promoted the ponzi investment through fraudulent ICOs. 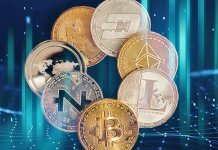 Moreover, the companies and customers are apprehensive to adopting cryptocurrency because of the plethora of coins promising to become the leader in world-wide payments and Decentralized Application (DApps). 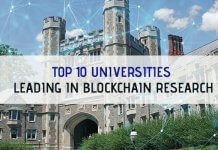 The development of a blockchain space by an institution like IBM would help implement only the good points of the blockchain in the current business model for a reasonable cost. The fluctuations due to profit-motive and the economic ratio gap between the actual and apparent price of a utility token can be deterred if a technological leader like IBM takes center stage in development and progress. 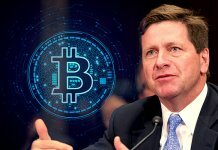 Blockchain leaders like Stellar Foundation with their token Stellar Lumens (XLM) and Operating system giant Linux Foundation is working closely with IBM to transform the world payment system, which will be their biggest achievement in terms of volume and their impact on financial economics. 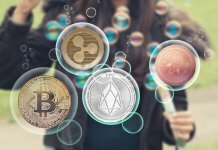 Previous articleRipple (XRP) and Stellar Lumens (XLM): Lead The Way To A New Bull Run? Next articleWill TRON (TRX) be The Next ETHEREUM (ETH)?